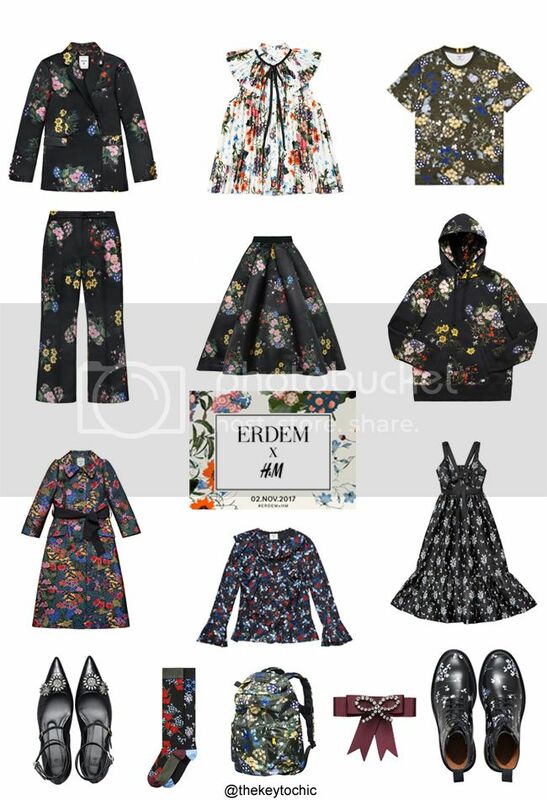 When it comes to fast fashion collaborations, I had always hoped that Erdem Moralioglu, one of my all-time favorite fashion designers, would partner with the likes of H&M. With the July 13th announcement of #ErdemxHM, all of my floral fashion dreams will come true on November 2, 2017. Of all of the high-low fashion capsule collections that I have shopped in the past decade, I am most excited about this one. Why? Erdem's beautiful blooms melt my heart, and I'm looking forward to snagging some of his signature florals for less for my fall/winter wardrobe. I'm daydreaming about his ultra glamorous gowns as I type this, and I imagine many others around the world are as well. November 2, 2017 update - See #ERDEMxHM alternatives in my recent post and shop main line Erdem on sale. October 26, 2017 update - Bookmark this page to shop the #ERDEMxHM collection on November 2 at 8AM local time and watch the stunning campaign film by Baz Luhrmann. Use this store locator to see which stores will carry the collection. October 20, 2017 update - See photos from the celeb-filled Los Angeles party and runway show and read the complete guide to #ERDEMxHM. October 17, 2017 update - See the new #ERDEMxHM campaign images. October 9, 2017 update - See a preview of the #ErdemxHM lookbook below. Guys, take note! Erdem's collection will include something he hasn't done before - menswear. 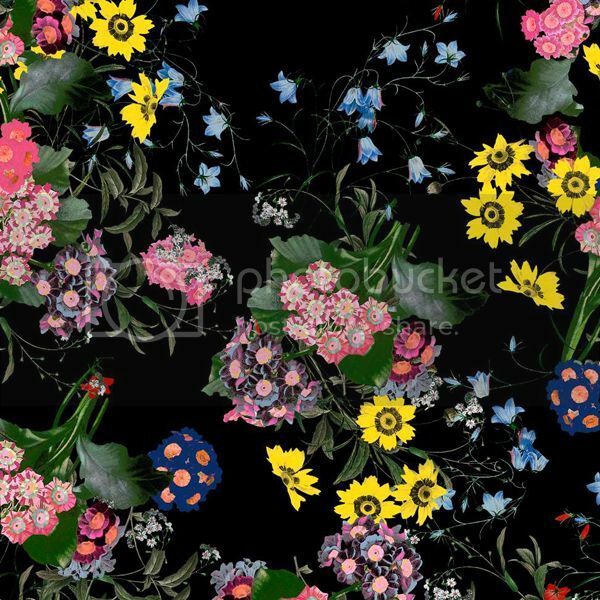 Erdem will "reflect and reinterpret the design themes from some of his most celebrated collections, playing with the prints, textiles and delicate craftsmanship that have made his name." While there are limited details about the collection, Erdem cites the Bruce Weber-directed Pet Shop Boys video 'Being Boring' as an inspiration. For a first look at the line, H&M has teamed up with Baz Luhrmann for this short film. 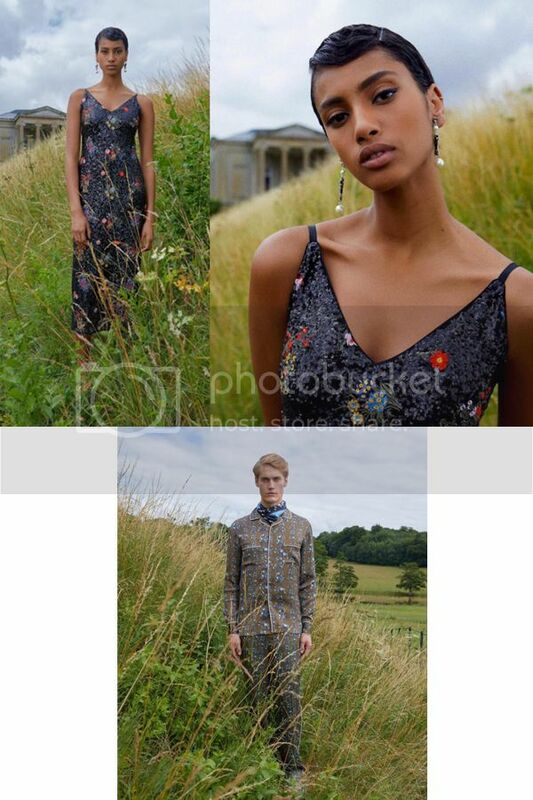 The visually rich sneak preview shows models running through a scenic English countryside estate wearing a printed pajama style men's look, a (red capet-worthy) dramatic dark floral gown, a leopard coat with ribbons, a men's overcoat, a men's grey suit, a sleeveless sequin floral column dress, and a sleeveless pleated floral top. As the big day nears, you're going to want to have your shopping plan ready. Having shopped many designer collections over the years, I've learned a few lessons. I'm sharing my shopping tips for how to score your Erdem x H&M must-haves both online and in stores. Mark your calendars and set your reminders for November 2. 1. Learn the lookbook. Study the lookbook carefully to select your favorites, get outfit inspiration, research the sizing, choose colorways, and check the prices. 4. Save your info. As the time to shop online approaches, log onto hm.com and have your checkout and payment details saved ahead of time. Clear your cart of any items in order to streamline the checkout process. This reduces the chances of having your cart emptied of any out-of-stock items before you can click the "complete order" button. 5. Click quickly. Shop your top pick(s) first and submit your order right after placing in your cart. Do not shop and fill up your cart. Why? Once an item is in your cart, it's not reserved for you. In order to avoid an item being removed from your cart because it's sold out, you need to click quickly and complete your order! That's why I create a prioritized wish list and try to buy my top picks first. Online purchases are limited to one item per style per person. 6. Stay social. Use social media channels such as Twitter and Instagram using #ErdemxHM for up-to-the-moment shopping updates, product info, and to connect with other shoppers. Find me on Snapchat, Twitter, Facebook, and Instagram @thekeytochic for shopping photos, sizing info, and more. 1. Know where to go. Plan your shopping well in advance. I've overheard people calling in sick to work just so they could get in line and shop. Be ready to stand in line on Wedneday night or early Thursday morning (see just how early in #3.) Once it's published, use the store locator to find the stores near you that'll stock the #ErdemxHM collection. 2. Phone it in. Be extra prepared by calling your local store the week before the launch to confirm if they'll carry the collection and ask them exactly where you should line up to shop. 3. Be an early bird. You know what they say about the early bird. Stores open at 8am (instead of 10am) on launch days. I've found in the past that if I arrive by 4am or earlier, then I'm able to get into the first or second shopper group. 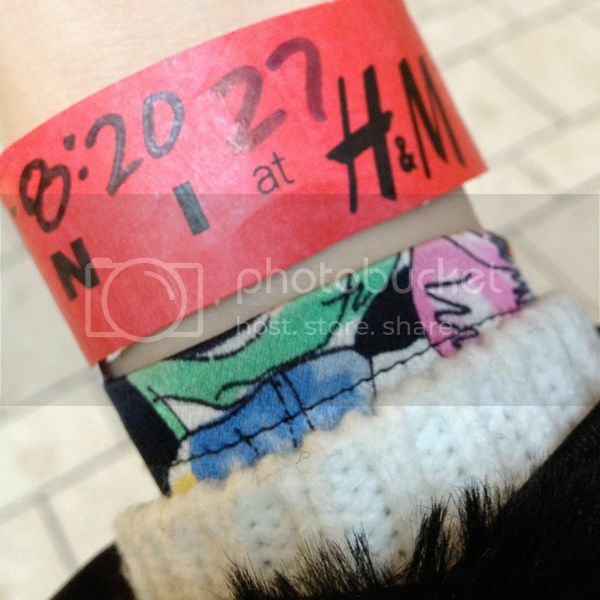 For example: for Lanvin, I arrived in line around 3am and I was #65 in line. For Marni, I arrived around 2am and was #27 in line (after several friends of shoppers arrived and took cuts in front of me.) For Isabel Marant, I arrived before 4am and lucky for me, I was in the first shopper group. For Margiela and Balmain, I was lucky enough to able to shop the fashion editor preview parties the night before the launch. For Kenzo, I shopped online with relative ease. 4. Play the waiting game and respect the line. For people wanting to shop the Women's merchandise, store reps will pass out color-coded wristbands to the first 420 people in line. They do this several hours before the store opens, with each shopper group consisting of 30 people. Each group of 30 shoppers is allowed fifteen minutes (for Erdem, it will be ten minutes) in which to shop the collection in a secure and sectioned-off area of the store. They are strict, and with good reason. The fifteen minute time slot goes by really fast, with employees calling out the time at five minute intervals. It's hectic, crazy, and dizzying. This poses a dilemma if you want to shop both Women's and Men's first thing because the Men's area is open to all shoppers at 8am. Note that all people can enter the store at 8am. In between shopper groups, employees rapidly replenish the merchandise in five-minute intervals. Oh, in case you're not awake yet, there's thumping loud music via a live DJ. Expect long lines at the fitting rooms and people hoarding whole racks of clothes in piles on the floor. 5. Preparation is key (but first, coffee). I bring a blanket/pillow, cozy jacket, phone charger, water, and plenty of healthy snacks to stay energized and comfortable while in line. Bring coffee if needed. I have seen people camp out overnight in tents to be first in line for these collabs. Crazy, yes, and dedicated! For people who live in large cities, I'd recommend going several hours before the store opens if you're really motivated to shop. It really depends on your schedule and how much sleep you're willing to sacrifice. In my experience, stock varies widely from store to store, with flagships in metropolitan areas carrying the best selection. 6. Bring a buddy. A family member, friend, or significant other might be able to help you get the pieces you want and help you make purchasing decisions. "Divide and conquer" should be your strategy! Arrange to meet in line at the same time or go to the store together so you're not cutting in line and you can be in the same shopper group for maximum teamwork. The LanvinxHM faux fur coat and embellished tee would not be mine if not for a dedicated shopping partner. The same goes for the Isabel Marant fringe boots, and I feel very grateful. 7. Check for go-backs and barter. If your favorite pieces disappear from the racks in a flash, be courteous, be patient, and don't be afraid to chat with employees and other shoppers to politely trade to get what you want! Just respect the rules that they have in store. 8. Know your limits. There are quantity limits per person on these collections (it's 1 item per style in stores and 1 item per style online) to prevent buying in bulk, and the return policy time frame is shorter (6 days for purchases made in stores). Be aware of these restrictions in order to prevent any buyer's remorse. 9. Persistence pays off. 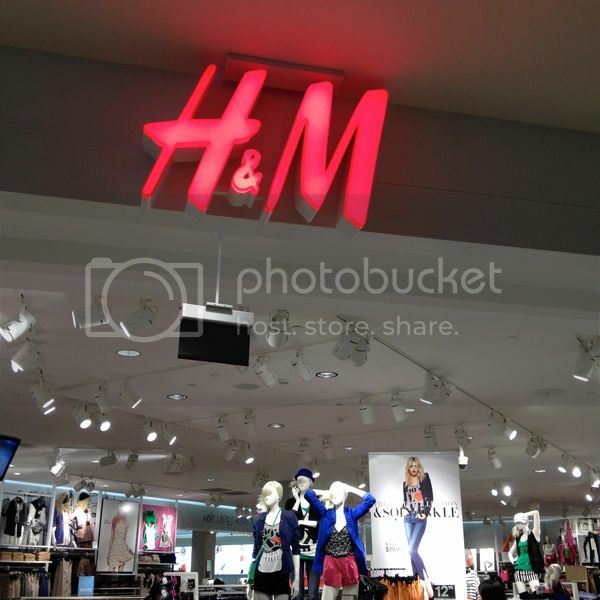 H&M does not restock these collections, but you can still score your favorites. If you don't find what you want after the launch, check back for returns in the coming days, as many shoppers take items back to the store. Accessories can't be returned for hygiene reasons, so select them carefully. How about that buyer's remorse? Don't forget to check the customer service desk and clearance racks for returns in early and mid November as well. Call your local stores to ask what they have in stock and use #ErdemxHM on social media to buy/trade with others. 10. Consider main line Erdem instead. 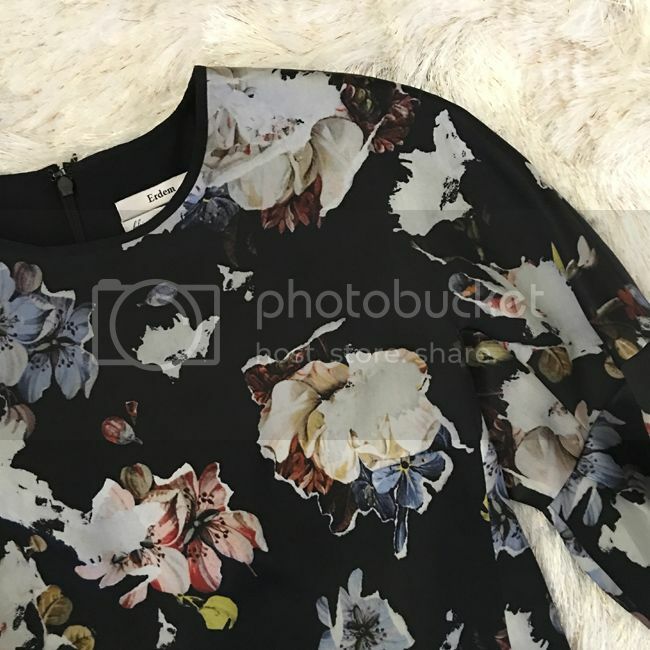 With inflated resale prices on eBay and other platforms after the launch, you can likely buy main line Erdem and Erdem on sale for less than the marked up resale prices. Consider shopping the real deal (especially on sale at the outnet) or the alternatives below if you aren't able to get your #ErdemxHM wish list items.